Discover an easy way to store your food, cover a bowl, or wrap up food to take to work or on a picnic! Bee’s Wrap offers a wonderful variety of sizes that are perfect for wrapping everything from a crusty loaf of bread, half a lemon, sandwiches, fruit, vegetables, and cheese. Use the warmth of your hands to soften the wrap and create a seal. When cool, the wrap will hold its shape. Wash in COOL water with a mild dish soap. Let air dry. 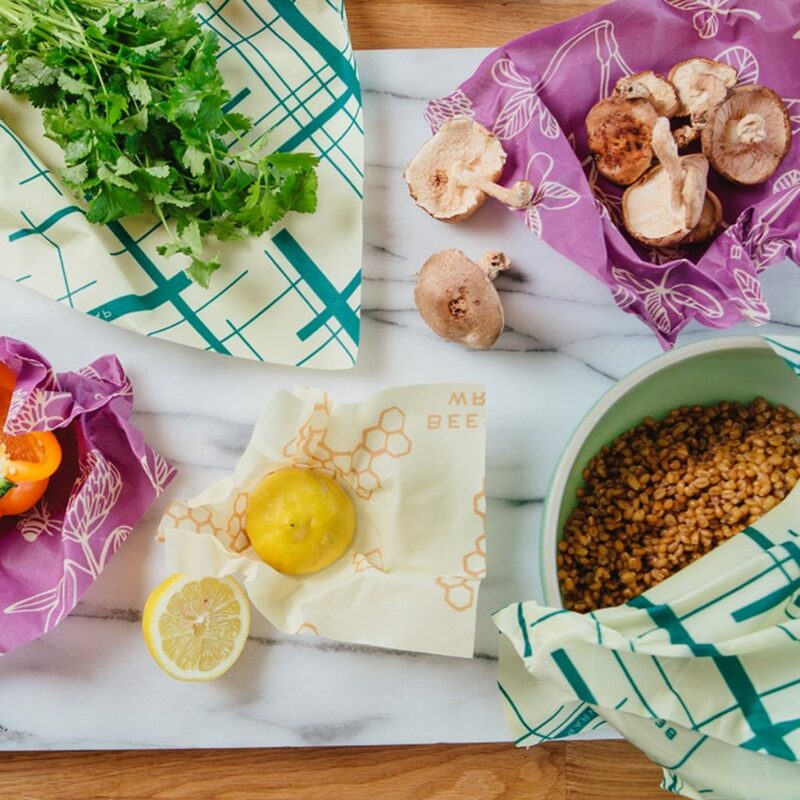 Bee’s Wrap is made in Vermont with organic cotton, beeswax, organic jojoba oil, and tree resin, and is washable, reusable and compostable. They are available in small, medium, large, and bread size wraps. Shop now for Bee’s Wraps products!